It might not be fancy, but sometimes it’s the simple things. K-Dub loves deconstructed sandwiches. I give him some toast, chunks of cheese, turkey, quartered grape tomatoes, and a half of a pickle sliced and he’s happy as can be! 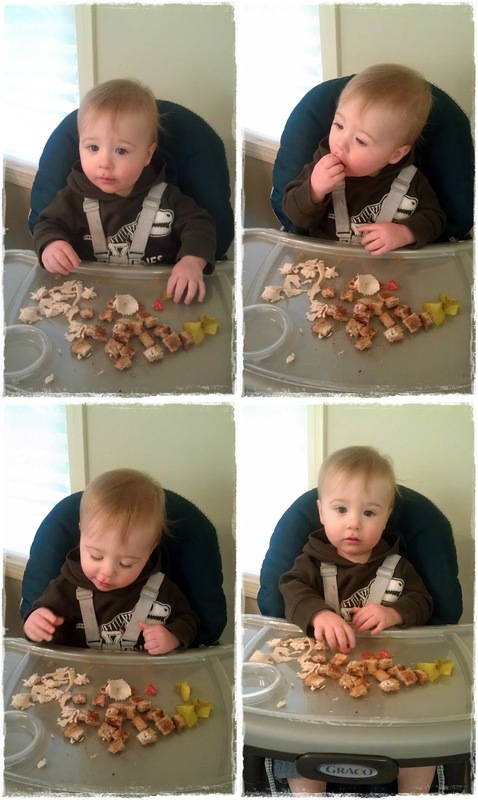 What is your easy, go-to toddler meal or snack? My son is on a spaghetti kick. He just loves it!